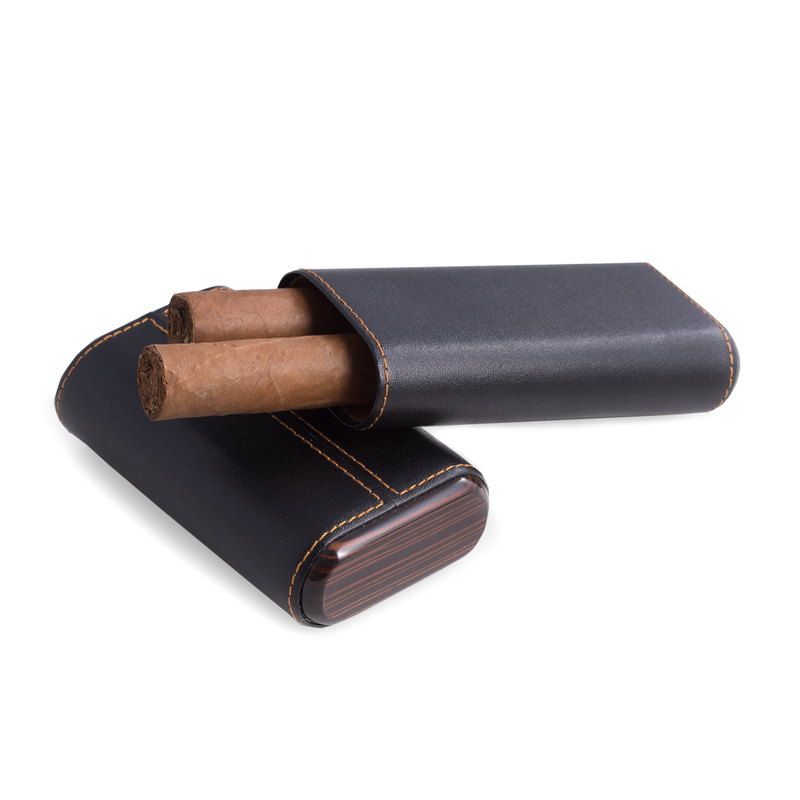 Take along your favorite after dinner or celebratory cigars, keeping them in perfect condition with this black carbon fiber & leather 3-cigar holder! 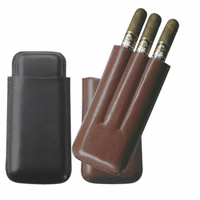 The holder has a telescoping opening, and a cedar lining to keep them fresh and ready when you are to light up and enjoy one! 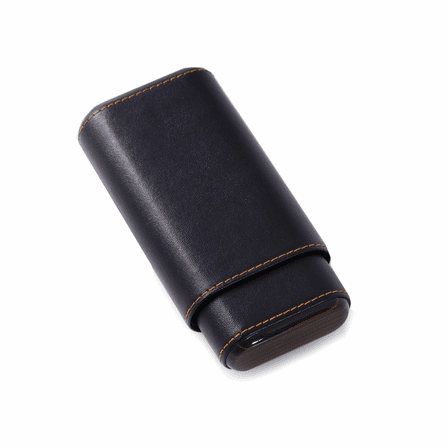 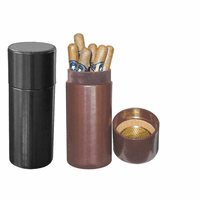 The holder measures 5.75" x 3" x 1.25", fits easily in a jacket pocket, briefcase, or luggage, and comes packaged in a gift box. 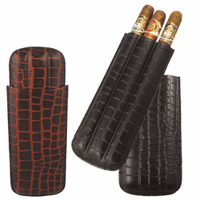 It's a great gift for groomsmen, graduates, new fathers, family and friends!